MP[tools] is aimed at Matterport Power Users. Edit your Mattertags in ‘code view. Bulk Mattertag Editing & Creation Tools coming as an MPEmbed Pro / Enterprise feature. MP[tools] does not make any changes to your Matterport Spaces. Instead, it side loads data into your browser when you view your Matterport Space, or load it in Workshop / Edit Mode. There are two options — import tags from one space and transfer to another — or edit tags from a space. You can create multiple projects and toggle them on or off. 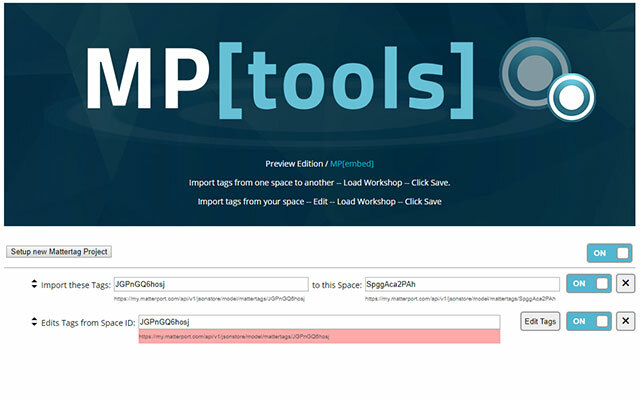 When on, you will see the results of MP[tools] whenever you load your space in Showcase, Workshop, or Edit Mode (Workshop 3). If you are happy with the results, make a single change in Workshop to enable the ‘Publish’ button, turn off the rule in MP[tools], then click save. Reload your space and you should see that the imported data has been committed. From my testing, it seems to be. If you would like to be safe, be sure that you are able to reupload the same space from your iPad if anything should go wrong. In theory, if Mattertags applied in a manner that rendered your space uneditable, then you could remove them all with this tool as well and fix the issue. I have yet to have any reports that this tool has created problems. If you are migrating between two identical spaces and have removed the first scan point on the second model, the Mattertags will -not- be placed in the correct location as all Mattertag coordinates are relative to your first scan. How do I install MP[tools]? MP[tools] is available from the Chrome Web Store. You can download the preview version today. After installing, you will see a Mattertag icon in your Chrome Toolbar. 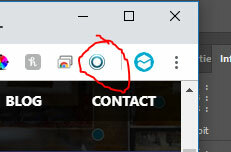 Clicking this will open MP[tools]. MP[tools] will have Premium features that are available to MPEmbed Pro and Enterprise subscribers. Content will be createable in the MPEmbed Control Panel. MP[tools] will have the ability to import it to Matterport Cloud. Export Space Statistics and Space related details.